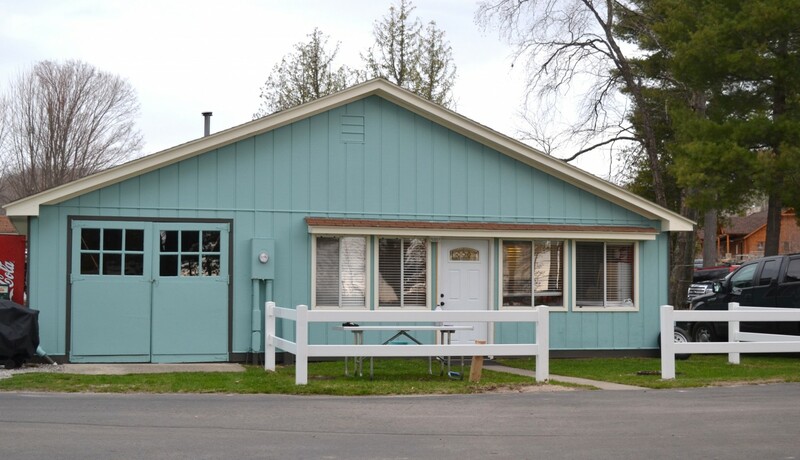 The Lake Leelanau RV Park cottage was completely renovated in 2014! 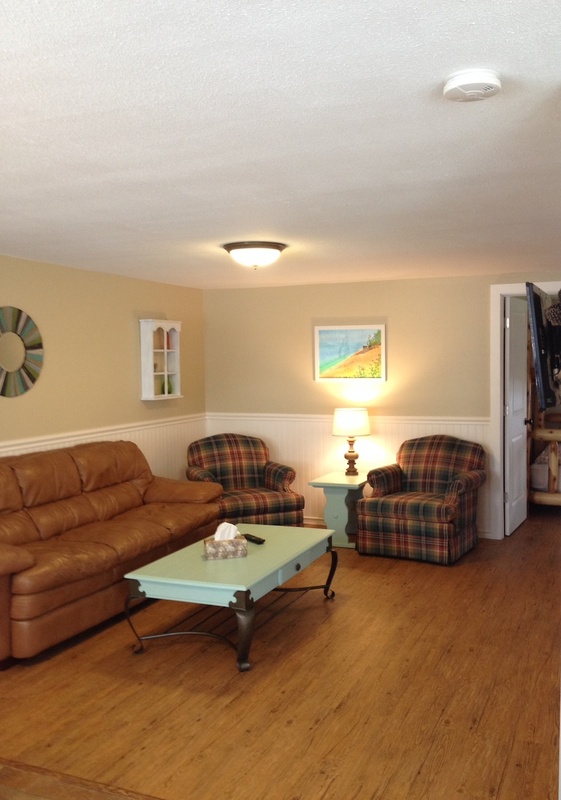 Our cottage is a two-bedroom, one bath available for your vacation needs. 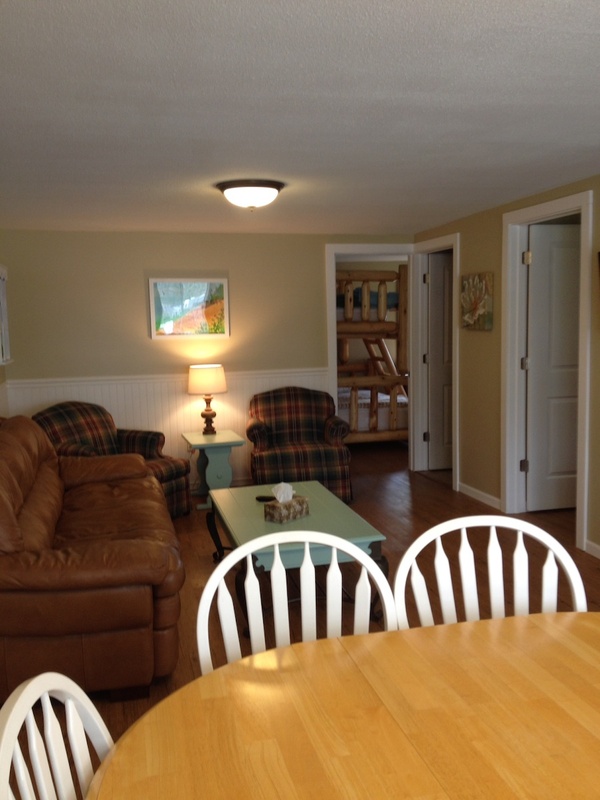 The cottage rents from Saturday to Saturday from mid-June through Labor Day and is $1250 per week plus 6% tax. 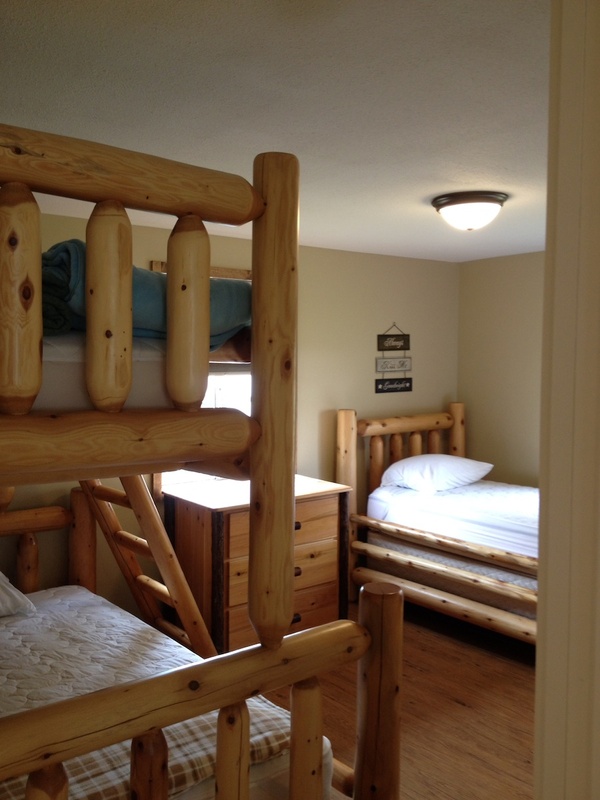 In May, early June, September, and October, you can rent the cottage for a 3 night minimum for a rate of $180 per night. 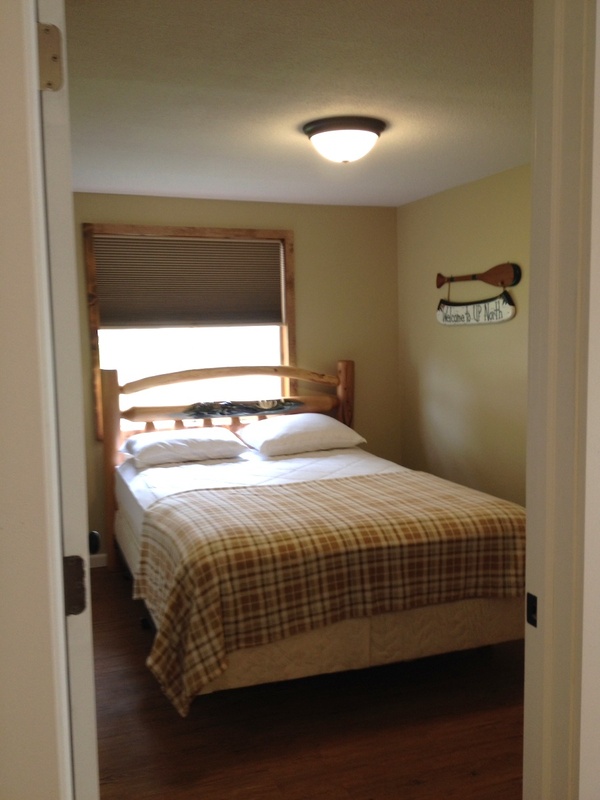 Our cottage has 2 bedrooms which sleeps six and has newer solid cedar beds and top quality mattresses. 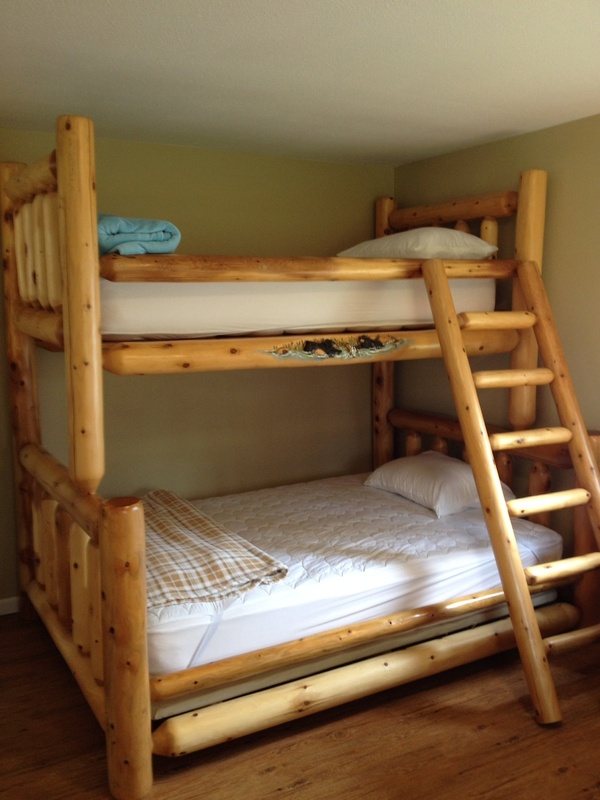 One bedroom has a queen bed and the other has a twin/double bunk bed and a separate twin bed. 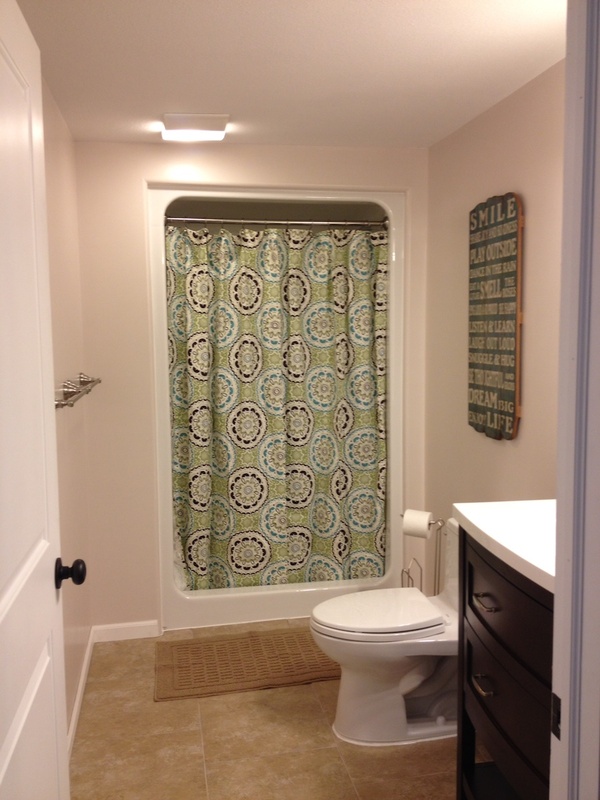 There is a mid-size kitchen, living area, and a three quarter bath with shower. 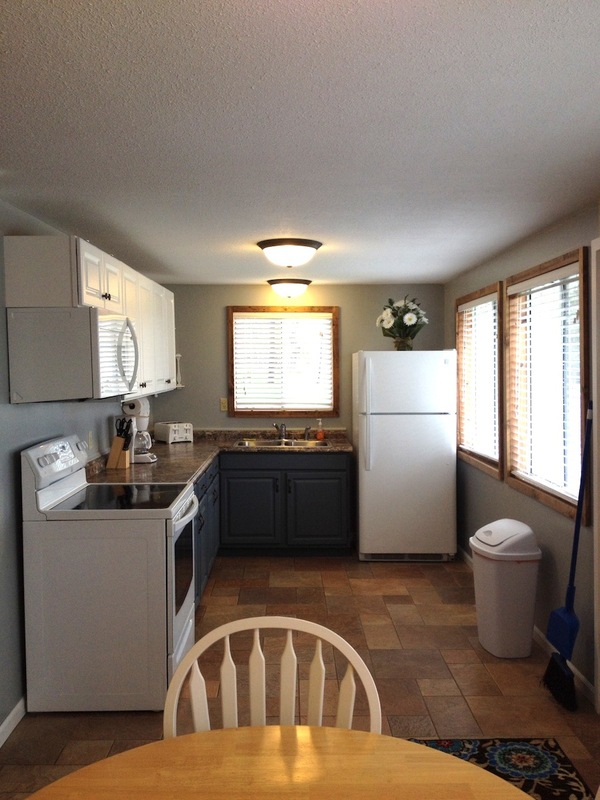 Included with the rental are dishes, pots, pans, silverware, toaster, electric range, coffee maker, refrigerator/freezer, microwave, in room electric heaters, and air conditioning. There is a flat screen TV in the living room. Outside, in front of the cottage, we provide a gas grill, picnic table and fire circle. You must furnish bed linens, towels, washcloths, soap, toiletries, etc. Blankets, mattress pads and pillows are provided.